Hilary Tompkins served as the Interior Department’s solicitor from 2009 through 2016; she was appointed by former President Barack Obama. Tompkins has also been a professor at the University of New Mexico School of Law, chief counsel to New Mexico Governor Bill Richardson, and a trial lawyer in the Environment and Natural Resources Division of the U.S. Department of Justice under the Clinton administration. 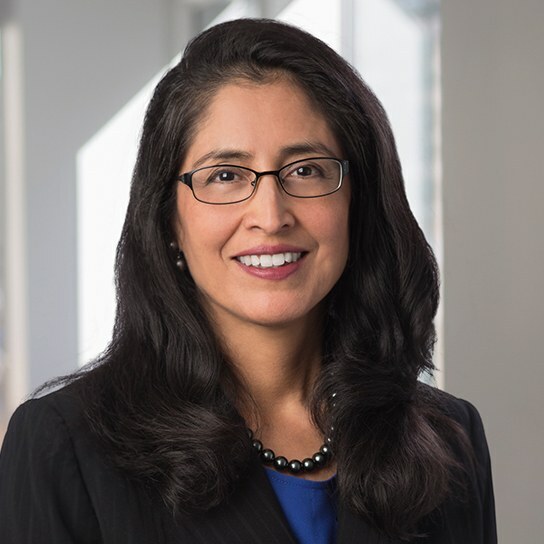 In Window Rock, Arizona, Tompkins served as a law clerk and once worked for the Navajo Nation Department of Justice as a tribal court advocate. An enrolled member of the Navajo Nation, she is currently practicing law at a private firm in Washington, D.C. High Country News associate editor Tay Wiles recently spoke with Tompkins about her time working on some of the West’s biggest natural resource cases and what she anticipates for Interior in the next four years. High Country News: What are your thoughts on the efforts in some Western states by representatives to rescind or shrink national monuments that Obama or other past presidents created? Is there a possibility that could happen, legally speaking? Hilary Tompkins: I think it is very legally difficult to unwind those decisions. The real test will be in the details if there is a rescission of any monument. Congress delegated authority to the president to designate national monuments under the Antiquities Act but did not vest authority in the president to undo a prior presidential designation. The Antiquities Act has no provisions to allow for the undoing of a national monument designation. Had Congress intended to give that authority, it would needed to have said so in the Antiquities Act, and did not. The argument (against rescinding monuments) is strong because it is consistent with a straightforward reading of the statute and constitutional principles that congressional delegation of authority to the executive branch should be read narrowly. These are bedrock principles of law that are well-established and I do not see a viable, alternative legal theory. The position of people supporting the monuments is that it’s not legally possible to unwind a monument. It hasn’t been tested in the courts, but that is their view and I think it’s a strong one. HCN: How do you see the issue of fossil fuel lease sales on federal land developing, in light of recent disputes in which the government was called out for not taking into account greenhouse gas emissions or the social cost of carbon? Tompkins: Under my tenure, we took positions in court that concluded that the science is not there to always track greenhouse gas emissions. At Interior, we had cases in the Powder River basin, such as the Wright Area leases involving the North Antelope Rochelle and Black Thunder mines, where the government prevailed on National Environmental Policy Act (NEPA) challenges in the lower court, rejecting the claim that the U.S. inadequately considered carbon emissions. The Bureau of Land Managment’s position was that once the coal is extracted from federal lands, we cannot predict with certainty where the greenhouse gas impacts will be after it leaves, where the coal will end up in the open market. I believe the Wright Area case is now pending on appeal in the 10th Circuit Court of Appeals. Other courts have not agreed with the U.S. (government) on this issue, so this is an emerging area of law where the courts are sending mixed signals. 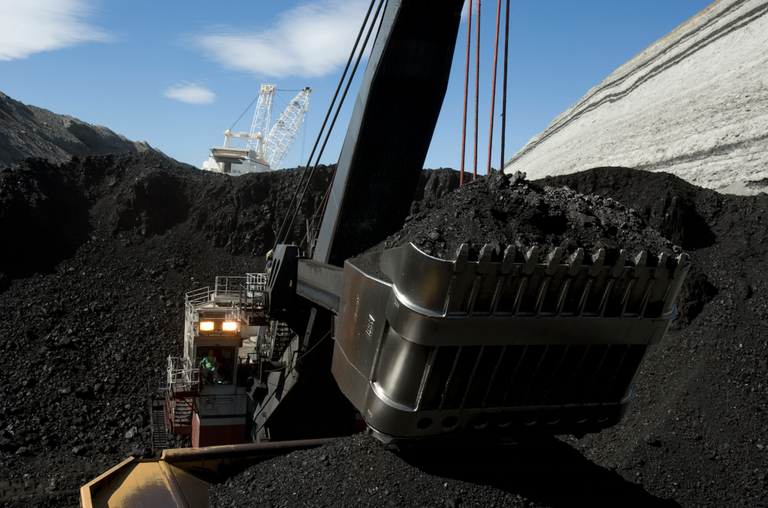 A dragline uncovers a stretch of coal seam at Wyoming's North Antelope Rochelle coal mine. In terms of what might be on the horizon, I think given the new administration’s views on climate change, which we’re starting to understand, I think they would probably continue our litigation position and may even pull back further on that front. But there’s a smattering of district courts that have required Interior to do more. So, stay tuned with the new cases. HCN: When you say pull back further, what do you mean? Tompkins: Generally there is a strong sense that the Trump administration will pull back the Council on Environmental Quality’s guidance on climate change under NEPA, the NEPA review of the coal program and the related pause on new coal leasing. Under the new reduced budget undertaking there is a strong policy push for increased extraction on federal lands. The BLM’s venting and flaring rule is also potentially on the chopping block. HCN: How do you see Indian law having changed over the past eight years, in light of Interior’s work with tribes? At the same time, over 100 tribes had also sued the United States for similar claims for breach of trust. These all were very hotly contested lawsuits that had really created lot of distrust between the United States and tribes when we came into office. We were able to settle the majority of those. That really opened a new door to rebuild the relationship with the tribes. And we also worked on issues such as protecting their land and treaty rights; I issued a number of legal opinions to reaffirm what longstanding Indian law already states, about how tribes and their reservations remain intact. HCN: Can you give an example? Tompkins: One example is a tribe in the Pacific Northwest who has a reservation that includes a river as its southern boundary. They had been having debates with the state government about whether that river was part of the state and subject to regulation by the state for fishing activity, or was it within the reservation. This is a fishing tribe, where that activity is core to their identity, and they had asked for an updated legal opinion on the status of that river. In many of the cases I dealt with Indian tribes, there often was an opinion by the solicitor’s office decades earlier. That was the case here. They had had a regional solicitor conclude decades ago that the river was part of the reservation. So, we looked at the issue with fresh eyes. We applied modern case precedent that had occurred since the old opinion. And in my opinion, I concluded, yes, that river was part of the reservation when it was made in the late 1800’s. It did not go to the state upon statehood. That is an example of how we provided legal certainty and analysis to the tribe. HCN: In addition to strengthened relations between the U.S. government and tribal governments, were new legal precedents set? Tompkins: We created positive case precedent nationwide in support of tribes’ ability to ask Interior to take land into trust under the challenging Carcieri ruling (which stated that only tribes that can show they were under federal jurisdiction in the year 1934 can take land into trust). Other interesting cases included a favorable ruling that a tribe’s water right includes groundwater, not just surface water, the protection of treaty rights requiring repair of culverts in the Pacific Northwest that had trapped salmon flows, and defense of Interior decisions to cancel or withdraw areas of land from development given their sacred nature to Indian tribes. Hilary Tompkins, former Interior solicitor. HCN: What do you anticipate will be important cases or issues related to Indian law the new administration will be faced with? Tompkins: One of the things we started to do is affirmative litigation where the United States and the tribe are co-plaintiffs, bringing cases to protect tribal rights. So that’s one area where I think there’s much work that needs to be done. HCN: Knowing what you know now after eight years as Interior solicitor, what do you anticipate the biggest natural resource issues will be for Interior to deal with over the next four years. Tompkins: I think the really big questions will be if they are going to increase energy development in a way that’s different from the prior administration — that is going to require a lot of careful legal work. It’ll involve new environmental reviews under the law. It’ll likely face new lawsuits by certain NGOs. That will occupy a lot of their time. I also believe the new solicitor will have to evaluate and address changes that the new administration is making in terms of getting rid of the stream protection rule, potentially doing the same with the venting and flaring rule, taking away the pause on the coal leasing program, all of those shifts in policy have very complicated legal requirements and implications that a new solicitor will have to deal with. So they will be very busy.